There is little that is more appealing, so pure, so wonderful as the smile of a child. And a whole room full of them are even better! Nestled in the hills of Honduras, there is a place that is full of love and full of need. It is a place called home for many beautiful young lives. These children have found their family in each other and those who care for them. Every member of this amazing family are loved and tended to by the staff and house parents, and there is a genuine sweetness in that devotion. But this children’s home, while rich in devotion, struggles to meet daily tangible needs for these children. We at TerraMica have fallen in love with this insanely large family! A few months ago we met with the directors and expressed our desire to take our friendship with them deeper, to walk alongside them in their journey of providing a safe home and provisions for orphaned children. We are enthusiastic about having a long-term relationship with this family, coming alongside them to provide solutions for sustainability of the home and healthy development of the children living there. We asked them what the greatest immediate need was. It was quite simply … dental care for the children. Most of these kids had never even seen a dentist! We promptly developed a plan to take care of the dental needs of each and every child. On the last day of September, when dawn broke over the rooftop of this children's home, the dental team of Drs. Maron Toledo, Nereyda and Gloria Cabrera, along with TerraMica Country Manager, Jorge Sosa, arrived. 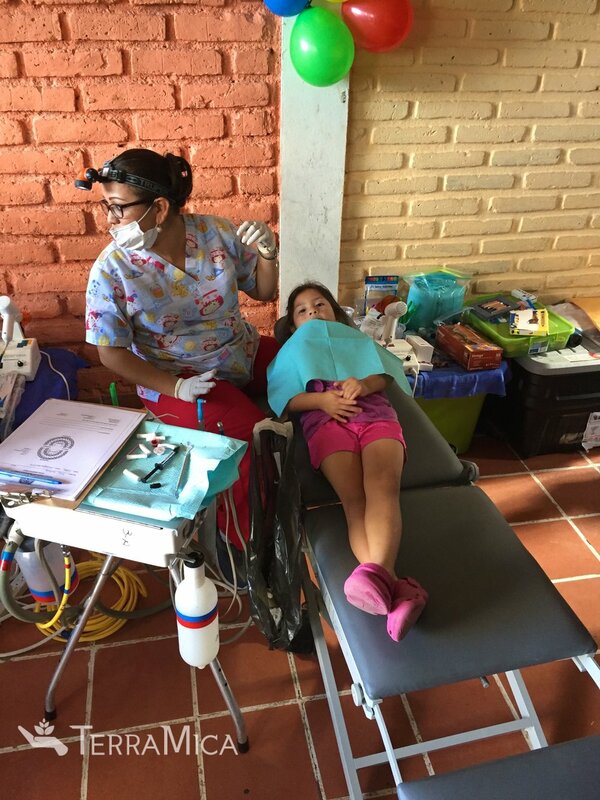 They began the process of setting up a portable dental clinic equipped with three dental chairs and hundreds of tools for cleanings and extractions. After four hours of work and careful preparation, the clinic was ready, and the dentists were eager to see the first patients! Then the nerves began. As you can imagine, there were more than a few butterflies flitting about youthful stomachs … one girl even fainted! Still, the children were excited to be cared for, to feel valued, to have each and every tooth cleaned to the glistening point, and treated when needed. Over the next few days, all of the children (ages 2-18) were cared for by the three dentists, with our staffer, Jorge Sosa, administrating the clinic. So what did we get out of it? Multitudes of happy, beautiful, joyful smiles! And that makes every dollar spent and every hour donated worth it. 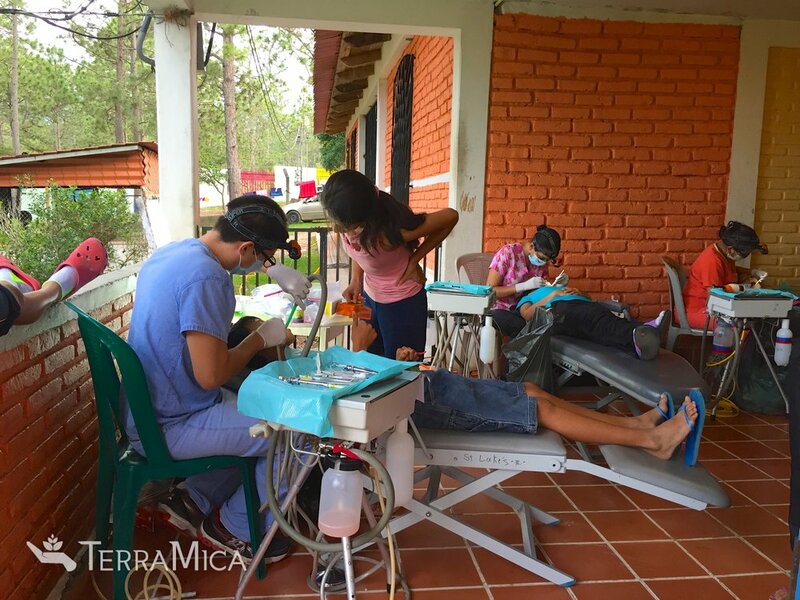 TerraMica is committing to make this dental clinic at the children's home a twice-yearly event. And we’re hoping to gain a whole lot more happy smiles! P.S. We’re so excited about loving and caring for the family at this home, we’re developing plans to plant gardens on their property for them to manage, to provide fruit and vegetables for meals, coffee trees to harvest for sales, and we’re planning to build chicken coops and provide chickens so that these children will have eggs and meat to eat. But that’s a story for another day … stay tuned!